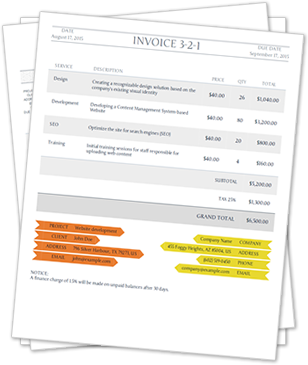 The inevitable step at the end of each successfully finalized project is invoicing the client. Most people / companies invest a lot of effort into the visual appearance and content of their website in order to better present themselves to potential clients and eventually conclude a deal. 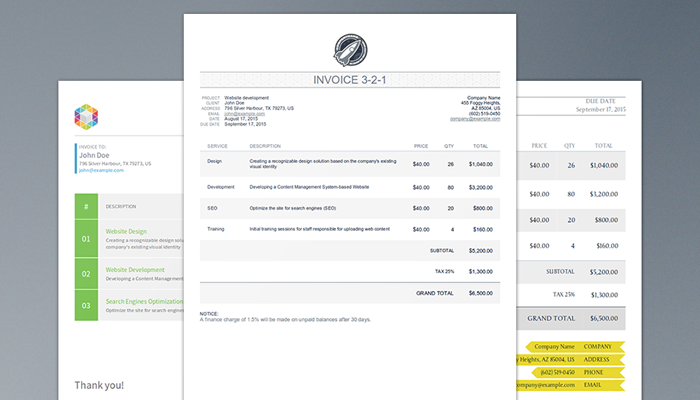 Although invoicing is the final step in this process, the invoice design is also important because we want to leave a continuously professional impression on our clients. 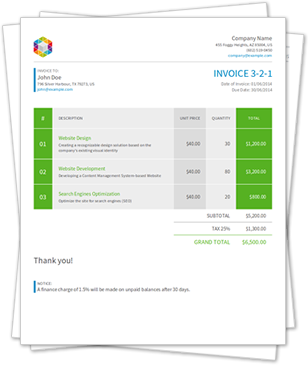 Below, we are providing you with three examples of free HTML5 Invoice templates that you can freely use and modify as you wish. In given cURL code don't forget to replace <your token> with your token. It is necessary to create a user account in order to get your token which can be used in the examples. Images and fonts used in the examples given are taken from the following services: LogoLogo.com, Subtle Patterns and Google Fonts, so please read their terms and conditions.